According to a 2015 report, 92% of consumers use emojis. Younger consumers increasingly prefer using emojis instead of written text to express their thoughts and feelings. As a result, emoji use has skyrocketed in online marketing. Google, Bing, and Yahoo all allow emoji searches on their search engines. Savvy marketers are using emojis in SEO to take advantage of this growing trend. Local SEO and City Search: Entering an emoji into a search will simply return a list of images similar to the emoji. For example, if you search using the pizza emoji, Google returns images of pizza. But if you amend your search to include “near me” or a city, Google returns pizza restaurants. Some of the results include businesses that don’t use the pizza emoji anywhere on their website. It would appear that Google translates emojis into basic text when users search with emojis, but there is some evidence that emoji searches provide a nuance that can be more useful. For example, searching with the bikini emoji in a given city returns businesses that sell bikinis, while searching with the text “bikini” returns some of the same businesses, but also businesses where the employees wear bikinis. Branded Search: As of right now, a search containing an emoji and a common search phrase like “for sale” will only return results that contain that emoji within their website. If you were to search using the dog emoji and “for sale”, the results would be a mixture of social media postings, classified ads, and general results that contain the dog emoji. Do People Use Emojis to Search? Emoji searches are allowed, and search engines have begun to interpret emojis used in queries, but it is still unclear how many people are actually using emojis in their regular Internet searches. Traffic from emoji search results can currently be seen in Google Search Console, making it fairly easy to monitor current emoji usage in your business’s search traffic. Until there is more data, marketers can prepare by testing emoji use in online content to see its effect on page ranking and investigating what emoji searches businesses and clients may currently be ranking for. 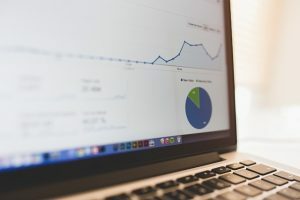 There are many techniques to help your website grow increasing foot traffic. Many people rely on search engines to direct traffic to them. One key method that most website owners will use is search engine optimization or SEO. In short, search engine optimization (SEO) is a method that helps your audience find you easier in the search engine results or the search engine result pages (SERP). There are methods for both On-Page SEO and Off-Page SEO. On-Page SEO consists more of keywords, longtail keywords, tags, meta tags, and other tools that you do directly to, or on, your website. These occur actually on your web pages. Off-Page SEO is a promotion method that occurs off of your website. This method uses links and social media to broaden your audience and increase your search engine results.